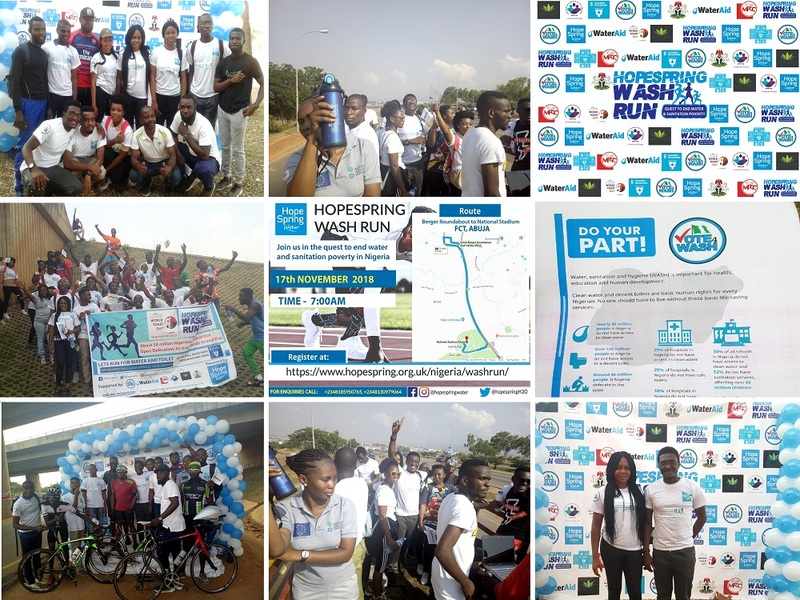 Hope Spring WASH run Abuja, Nigeria. 2. Nigeria is building up to the election period and this campaign would serve to ask citizens to demand for their rights to WASH from aspirants. He also stated that the event would serve as a platform to promote the Vote4WASH campaign. The WASH organizations represented at the event includes; WaterAid Nigeria, AimCare Nigeria, Action Against Hunger, Sustainable Waste Initiative, SDGs Network, NYSC SDG-CDS group. The federal government was not left out as they were represented by members of the Federal Ministry of Water Resources. Members of the different WASH organization rubbed minds on how to go about ending open defecation in Nigeria. It was unanimously agreed that synergy amongst all WASH organizations and the Federal Government is imperative. The WASH Run kicked off from Berger Roundabout, Abuja and finished at National Stadium Bridge. It had 30 registered runners while other attendees walked and sensitized the public in the process. The winners of the WASH run were presented with cash prizes and the team of Cyclers from Dapper ES, joined the sensitization campaign. World Water Day 2019: Group To Raise Awareness on Water Poverty and Inclusion of Marginalized People in Nigeria’s Water Sector Developments. Thank you for visiting our blog. 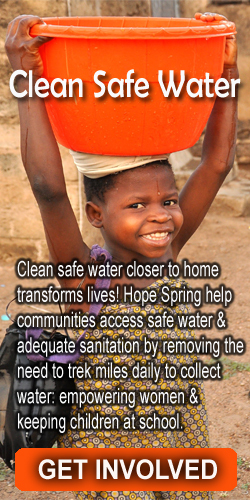 We are Hope Spring Water charity, we dig wells, we construct boreholes and do advocacy work for sanitation and hygiene in Africa. You can read about some of our projects and events on this blog. To find out more information about us, please visit our main website.